Transfer News – 3rd July 2015: Galatasaray closing on Arsenal attacker Lukas Podolski move, Liverpool flop Mario Balotelli set for Newcastle deal, Radamel Falcao joins Chelsea on loan. Galatasaray closing on Arsenal attacker Lukas Podolski deal, Liverpool flop Mario Balotelli set for Newcastle deal, Radamel Falcao joins Chelsea on loan and much more in today’s news roundup. Lukas Podolski’s agent Nassim Touihri has confirmed that his client will now be leaving as Arsenal have allowed him to leave the club. Galatasaray are keen to seal the deal in the coming week, according to SkySports. Read full story. Chelsea have signed striker Radamel Falcao on a loan deal from French side Monaco. 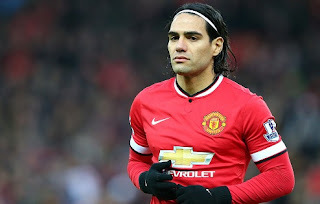 The Colombian who failed to impress at Manchester United last term will now be hoping to get back into his form at Stamford Bridge. Read Full Story. Pizarro is keen to stay in Bundesliga as his Bayern Munich contract is expired, according to SkySports. The Peru international has netted 176 goals in the German league for Werder Bremen and Bayern and is keen to add more goals despite of reaching the age of 36. Liverpool flop striker Mario Balotelli is set to leave Anfield on loan deal as Newcastle Untied are keen to seal the deal, according to Liverpool Echo. The former Manchester City and Inter Milan striker joined Liverpool last summer for a fee around £16million. He scored only a goal in 15 Premier League games. AC Milan have announced the signing of Luiz Adriano from Shakhtar Donetsk on a five year deal. The Brazilian was also linked with Arsenal and Liverpool but the Italian side won the race.